I enjoyed this book very much. Well, I enjoyed it after I got past the first six, slow moving chapters. Although I found the writing to be excellent and convincingly thought out, the follow-through with the characters kind of lacked a certain amount of passion and depth for my taste. The main character Violet (Seraphina), for instance, lacked human traits that would make her quest to find her lost memories and what really happened to her believable. It was also a little disappointing to find out how perfect she was throughout the book. Seraphina, wasn’t a character that I could identify with or truly care about on too many levels, but the empathy is there. Although the main characters were lacking something, there were people that were introduced that helped make this book more interesting (or maybe just more humane). At times, the reaction of others to Searphina’s many impossibly perfect qualities are amusing, to say the least. Even though I had a few issues with certain parts of this book, I found it very difficult to just walk away from the story. It really pulls you in and makes you curious as to what exactly is going on. I had my expectations about the book before I even opened it, and I will tell you, once you start to read it, you’ll realize soon enough that you were wrong. I would definitely recommend this book to those who are at the young adult reading level. Disclosure: All opinions are my own. 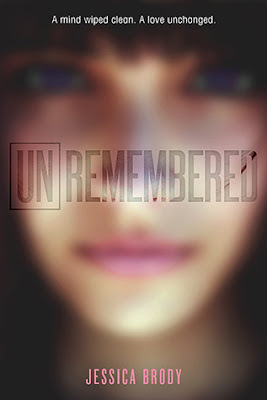 I received unREMEMBERED at no cost for the purpose of this review. No other compensation was received.